As a third-generation New Yorker who was born, bred, and educated there, Jake Dobkin was such a fan of his hometown that he started Gothamist, a popular and acclaimed website with a focus on news, events, and culture in the city, and “Ask a Native New Yorker” became one of its most popular columns. The book version features all original writing and aims to help newbies evolve into real New Yorkers with humor and a command of the facts. 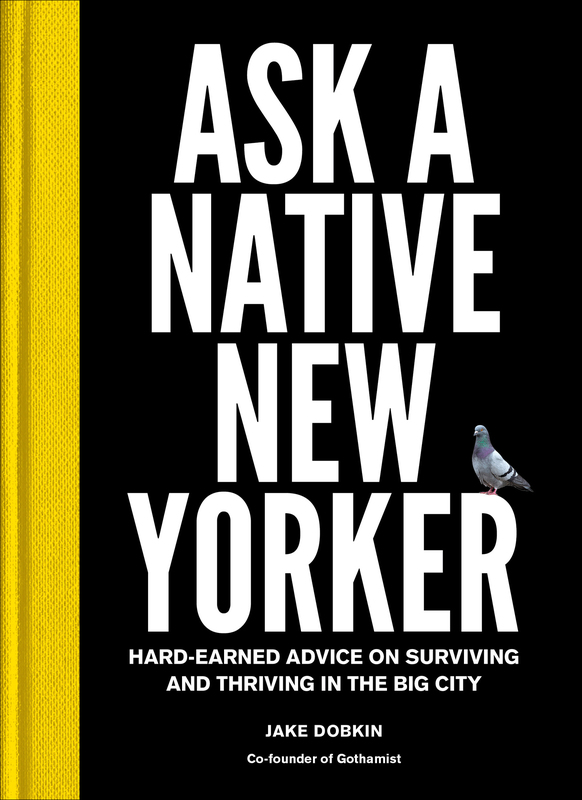 In 48 short essays and 11 sidebars, the book offers practical information about transportation, apartment hunting, and even cultivating relationships for anyone fresh to the Big Apple.